When e-IGNiTION was commissioned to further develop this site, we knew it already had lots of great content that did well in helping it rank effectively for local pet related searches. They have a passion for canines and one of the ways this has manifested itself is in an online ‘Dog Friendly Guide‘ to the local area. Listing everything you could possibly want to know when visiting with your four legged friend. There was also a small shop or e-commerce capability. As this site had evolved over a period of time much like most small business’ web presence. The e-commerce solution was clearly not capable of scaling up in an effective manner when both cost and time were considered. The site was also not making the best use of the latest Search Engine Optimisation principals for the shop content. By migrating to a new purpose built e-commerce platform we were able to create a fresh look while maintaining their branding. The key aims were to reduce the management time and increase their visibility on the web. This was to affect both the shop and ‘Dog Friendly’ elements so that they could confidently update content themselves with little outside assistance. In making such fundamental changes we managed the transition so that we did not lose any existing searches that they ranked well for. 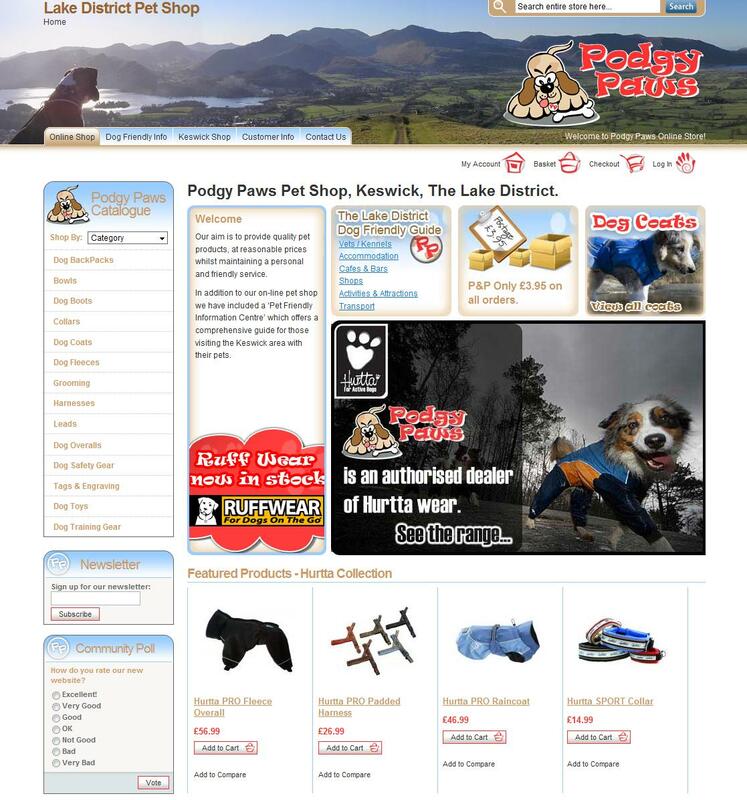 The new system would ensure that all the shop content was viewed by search engines in the most effective manner, guaranteeing to get all the items in the shop visible on the web. This then dramatically broadened the range of terms they can be found with on the Internet and over the longer term these can be analysed and fine tuning carried out where competition is tough. The e-commerce platform is incredibly user friendly considering how powerful and configurable it is. The features are too numerous to go through here but the main area that our client raved about was the Order Management capability. With multiple people able to manage the orders by tagging them with updates was very important so everyone knew what had been completed. Simple changes of status would not have allowed this level of freedom when managing the orders. Take a look at the site and see what you think. If you have a dog you may find something useful there too! This case study was posted on Monday, January 19th, 2009 at 1:35 pm.